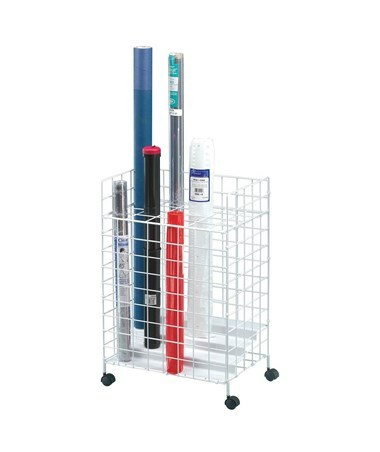 The Alvin 24-Slot Step-Design Roll File is a functional storage rack for large format documents that can be rolled including maps, plans, artworks, posters, and many others. It features a unique step-design base that allows easy access to its contents with its 24 openings. 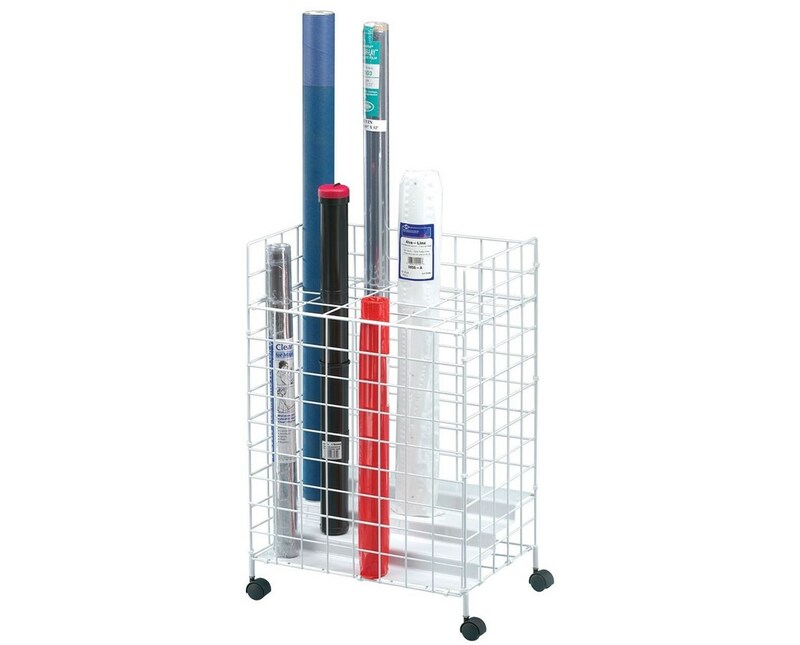 Each slot measures 3 1/8"W x 3 1/8"L to accommodate any rolled file. The Alvin 24-Slot Step-Design Roll File is made of heavy-gauge steel rods with white plastic coating to provide durability and ensure long-lasting performance. It is equipped with four swivel casters for high mobility and convenient use. With a custom-fitted bottom dust protector, it keeps the file clean and dust-free. It has overall dimensions of 14"L x 21"W x 32"H when fully assembled and weighs 15 pounds.